House prices in London are rising by £90 a day but flat or falling in every other major city in the UK, a report from the Land Registry revealed today. The report highlights the gulf between the capital’s property market, where prices have reached an all-time high, and the rest of the UK, where they are falling by up to 16.5 per cent a year. 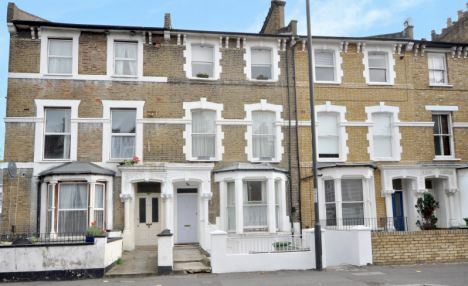 In London, the average home now costs £374,568, having soared by 9.6 per cent over the last year, according to the Land Registry. 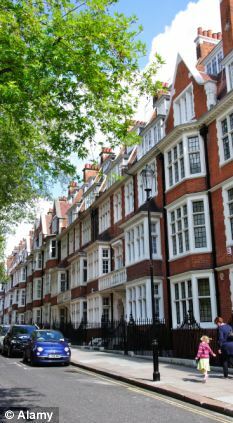 In the most exclusive corner of London – the Royal Borough of Kensington and Chelsea – the average property costs £1.1million, up by an eye-watering £120,000 over the last year. Around 13 homes every day change hands for more than £1million in the capital, according to the Land Registry, which excludes Scotland. But the rest of the country tells a very different story, fuelling an unprecedented property apartheid between the capital and the rest of the country. The Land Registry figures show prices have dropped over the last year in the vast majority of urban areas. Birmingham, Bolton, Bradford, Bury, Leeds, Liverpool, Manchester, Oldham, Salford, Stockport, Wakefield, Wigan and Wolverhampton are all on the casualty list. For example, house prices in Liverpool have fallen four per cent since last March. The average home used to be worth £93,514 but it has dropped to just £89,974, a fall of £3,720 or £10 a day. Overall, the Land Registry said the average house price in England and Wales is £161,793, up 0.1 per cent in March and up 0.9 per cent over the last year. 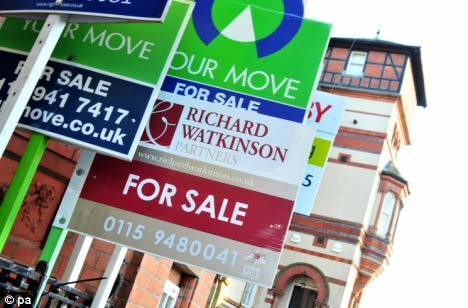 Outside London, prices are rising in some of the more expensive areas such as Surrey and Windsor and Maidenhead, but falling 16.5 per cent in Middlesbrough. Giles Hannah, managing director of the upmarket estate agency VanHan, said: ‘There is no getting away from the fact that national average indices conceal significant regional differences. ‘London is undoubtedly the big success story and is doing a good job of pulling up the national average. The majority of people who bought ‘super-prime’ homes in the countryside last year were foreigners, the first time that British buyers have become a minority. The research, by Knight Frank, looked at the nationality of people who bought country homes for £5million or more last year from the upmarket estate agency In 2010 and 2011, foreigners accounted for around 40 per cent of buyers. Last year, it tipped over the 50 per cent mark for the first time to reach 55 per cent. Around one in four buyers came from Russia and its former republics, such as Armenia, Uzbekistan and Kazakhstan.